And it kind of won that by accident. India's Vinesh Vinesh ponders where it all went wrong after the women's wrestling freestyle 48-kg comp in Rio. Someone has been missing from the Rio 2016 Olympic medal table. It's the world's seventh largest economy and second most populous nation, but until day 12 of competition, it had not won a single gold, silver or bronze. Not one. That country is India. And it finally broke through for a bronze medal for Sakshi Malik in the women's freestyle wrestling 58 kg division -- but only after the original bronze medallist, a Kenyan, was disqualified. India has never been a strong Olympic nation. It has competed at the summer Olympics 24 times (including Rio), but has won only nine gold, six silver and 11 bronze medals. That's an all-time total of just 26 medals. By way of comparison, Australia has already won 24 medals at these Games alone, and is not even having a particularly good Olympics by its own high standards. It looked like things were changing. India won three medals in Beijing, then six at London 2012, and was thought finally to be on an upward swing as an Olympic power. But Rio has been terrible. What's going on? India's athletes are struggling under the weight of expectations in Rio. "Realistically we hoped to win five or six medals in Rio. We were expecting at least two or three in shooting. Two Indians went into the finals after qualifying and they finished fourth, and that was it. We were expecting a medal from the women's archery team, but they somehow slipped." Boxers, hockey teams and tennis players have also failed for India at the 2016 games. "I am calling it a mystery virus," Sinha said. "We're not worried about Zika. This [India's poor performance] is the real virus." 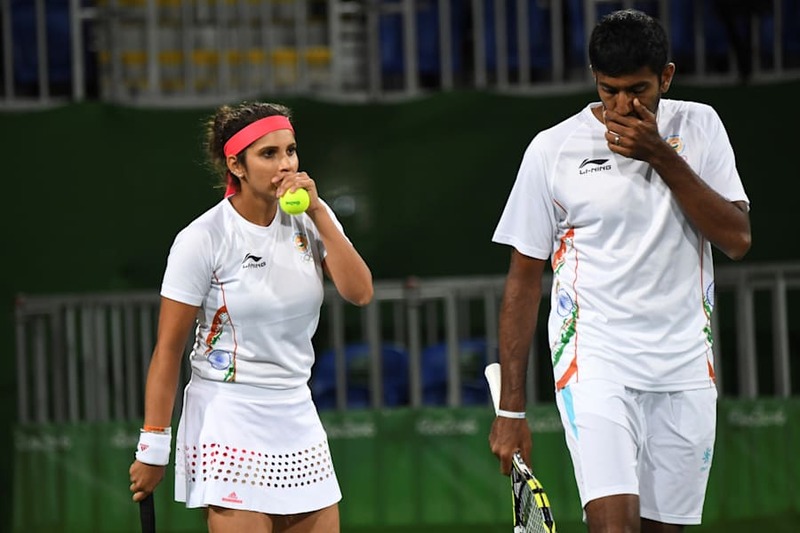 India's Sania Mirza and Rohan Bopanna got close in the Rio mixed doubles tennis, but lost the bronze medal match. But according to Sinha, the problem with Indian Olympic sports runs deeper than a few underperforming athletes in Rio. "The basic thing is sport is not part of our school curriculum in India. Parents want their children to study. They want them to become engineers, software professionals. Everybody wants to work in Europe, work in the U.S. You don't want to send your kid to a sports academy." Then there's the eternal issue of the dominance of cricket in India. Every sport is a distant second after cricket in terms of participation, funding and any other metric you care to use. There's been half-hearted talk of including Twenty20 cricket (the short form of the game) at future Olympic Games. "That is a sport that we play well, that would give hope," Sinha said. It would also, no doubt, give the IOC the eyeballs and broadcast rights earnings it craves from an under-represented part of the Olympic world. But for now, India struggles on as an Olympic power. And according to Sinha, while India's poor showing at the Rio Olympics is not washing well back home, it hasn't dented national pride too much. The endurance, determination & dedication of every Indian athlete who is in Rio makes us very proud. They are India's pride. "It doesn't affect deeply the Indian psyche," he said. "People are not burning effigies. That is only in cricket." India's last hope for a second medal? A badminton player called Pusarla Sindhu, whose semi final is on day 13 of competition. She'll only have the weight of, oh, 1.25 billion people on her slender shoulders. The last hope of one sixth of the world's population. Not much pressure, then.